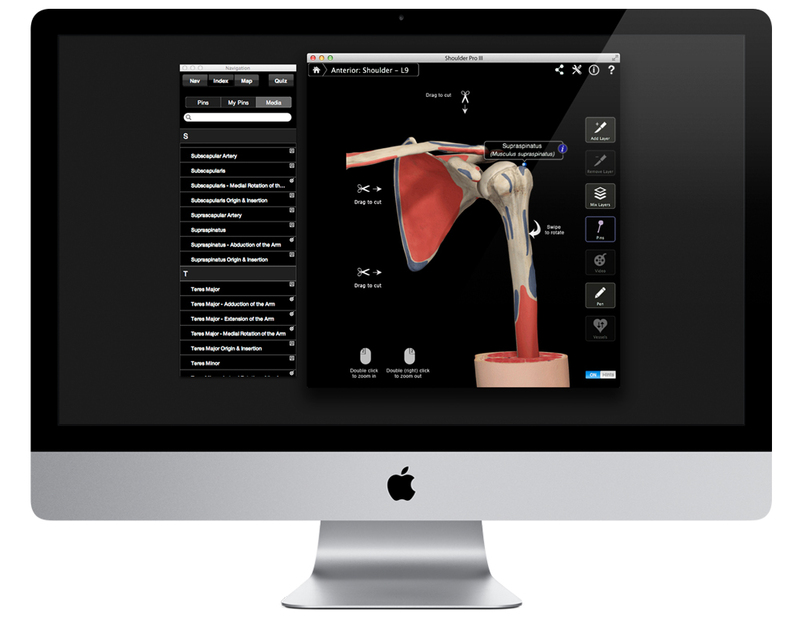 Developed in collaboration with Stanford University School of Medicine Shoulder Pro III gives users an in depth look at the shoulder allowing them to cut, zoom & rotate the shoulder. 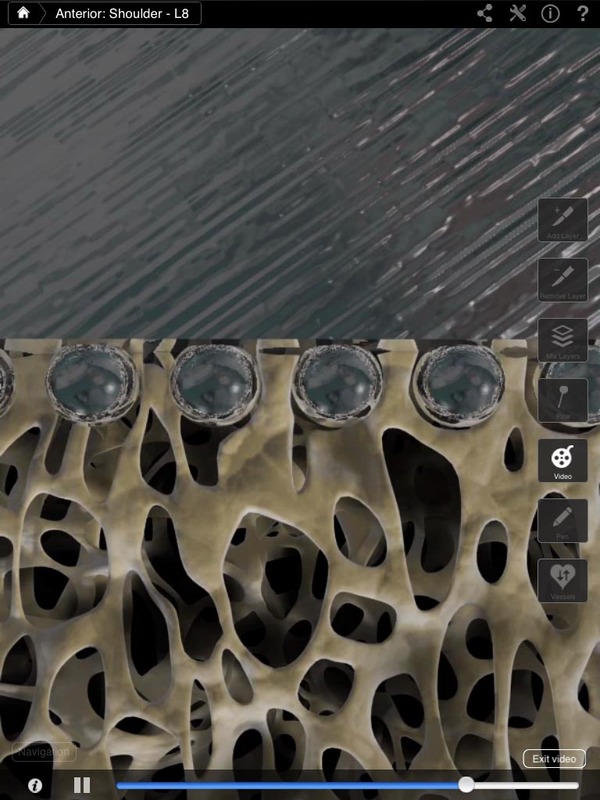 It provides multiple cross sections as well as the ability to cut away different layers revealing the muscles, blood vessels, nerves and connective tissue down to the skeleton. 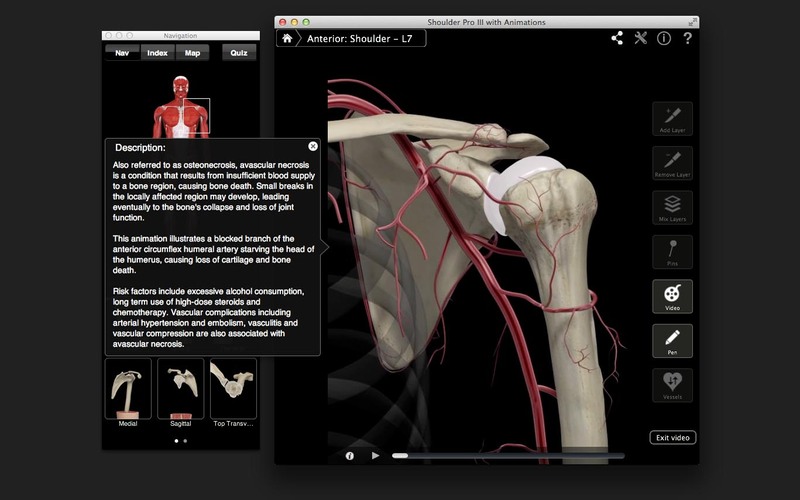 Shoulder Pro III also includes animations highlighting muscle movements and joint functions as well as images of every major nerve, muscle and vessel isolated. 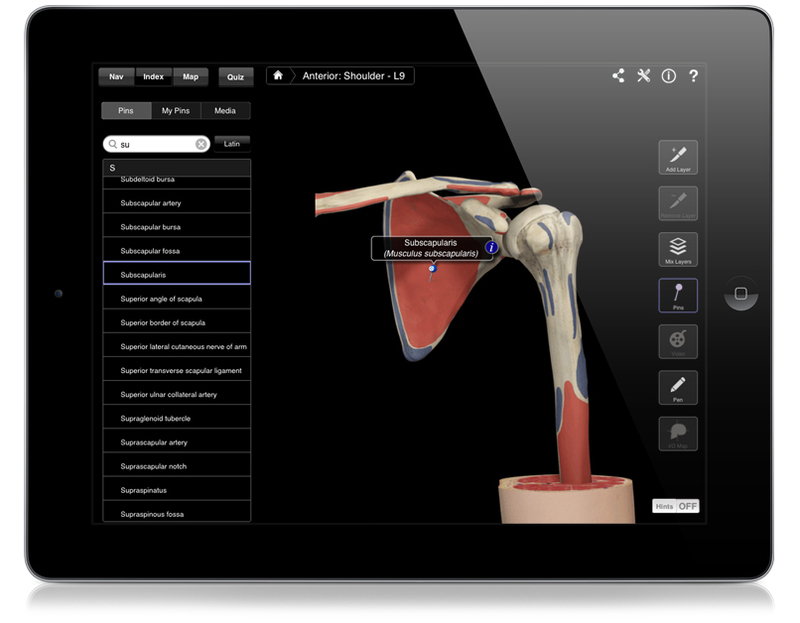 Shoulder Pro III allows users to zoom in to and rotate the entire shoulder — stopping it at any angle with a simple tap or click. Graphical hints can be turned on or off and help guide the user for seamless navigation. 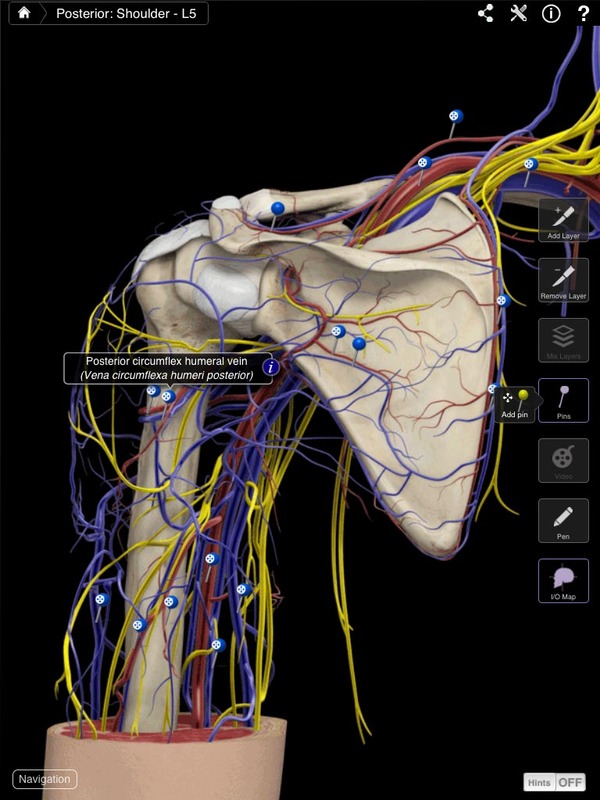 And rather than just the standard anatomical views, you can view the shoulder from different angles such as Anterior, Lateral, Posterior, Medial. 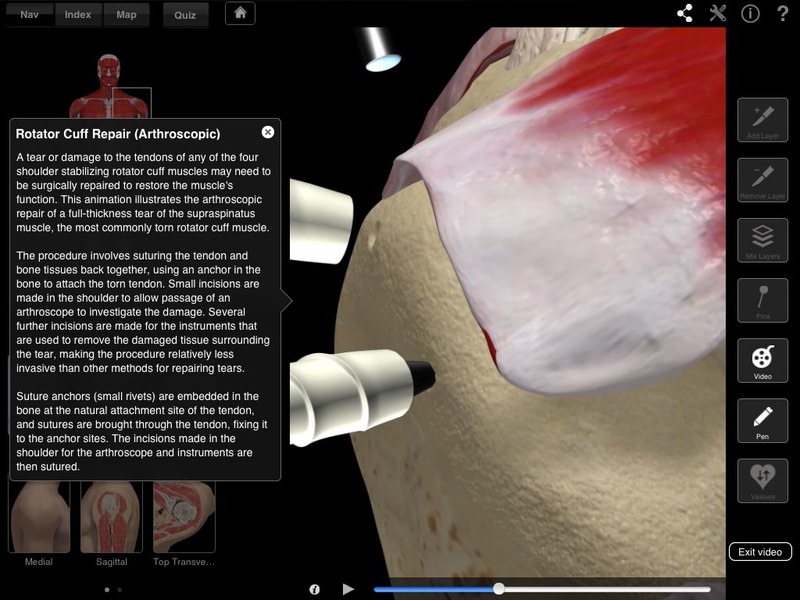 Users can slice the shoulder area with the simple stroke of a finger to get Coronal, Sagittal and Transverse cut views (where available). These views are fully labeled. 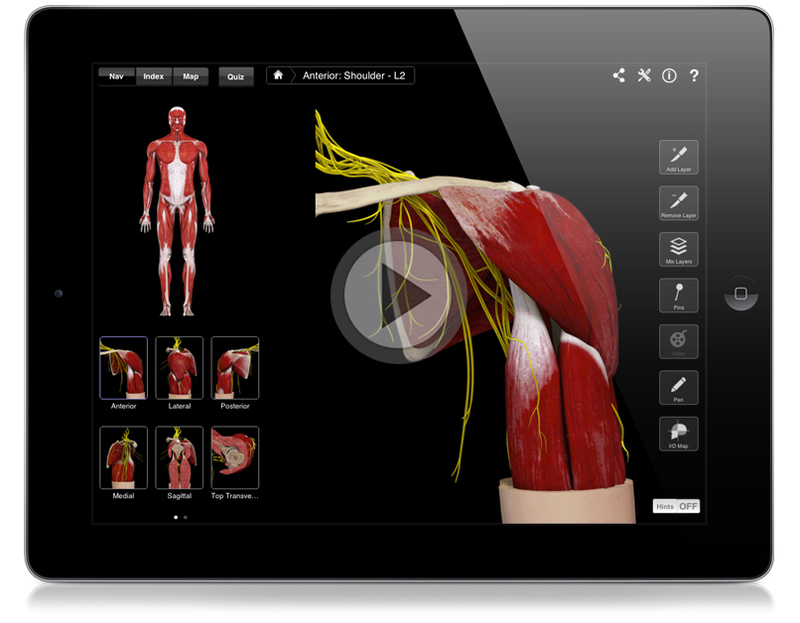 Users can add or remove up to 13 layers of muscles, vessels, and nerves using the scalpel tool. And the ‘mix layers’ button can make one layer semitransparent, which is useful when comparing one layer against another layer. Press the Index button and the user is offered an index of the pins available. Select a pin and the app will automatically take the user to that pin and label it. Or simply press the pin button on the floating toolbar and all available pins will instantly appear. Pins contain detailed information and you can add notes as well as create custom pins! As well as being able to view detailed information on a particular pin, the user can also add notes and create custom pins. 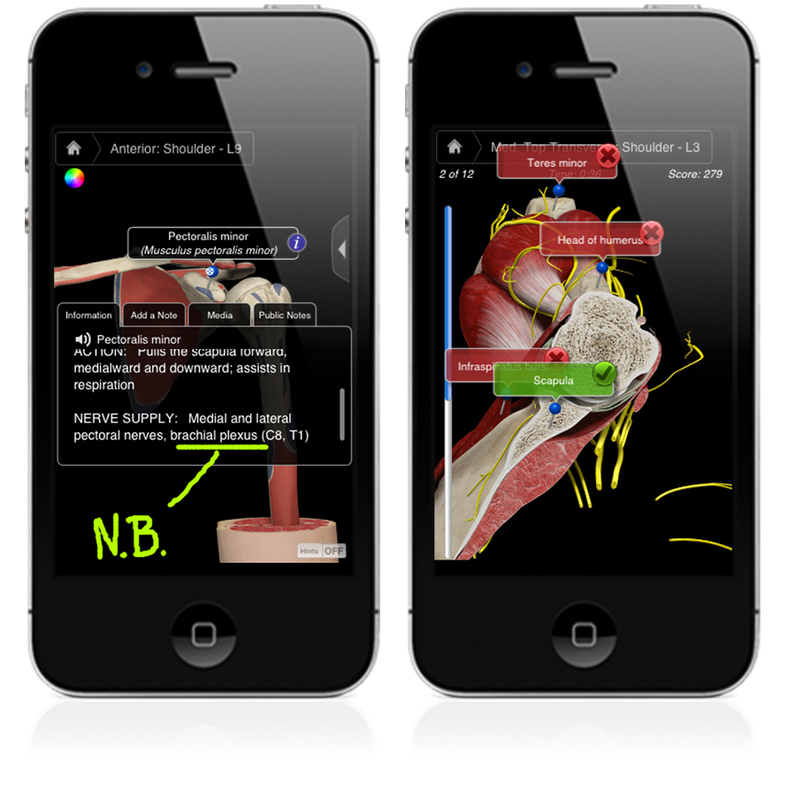 In addition, the user can also access audio pronunciations and view additional images and/or animations for pins. 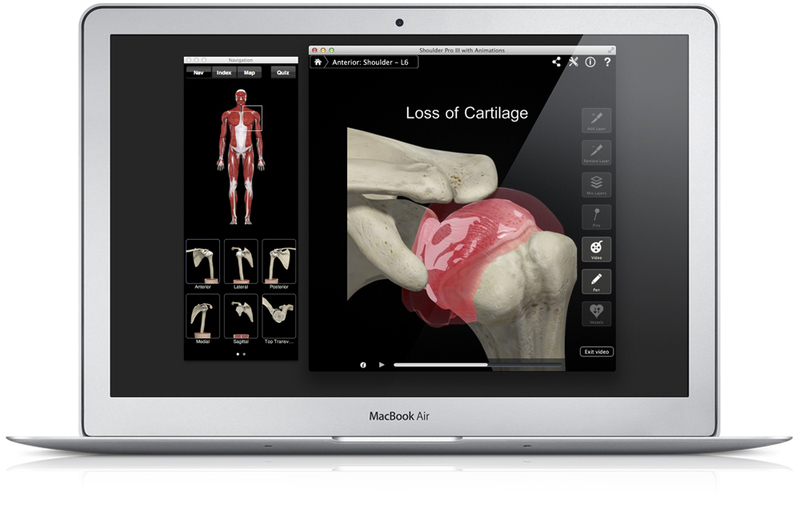 The public notes feature allows users to view & create public notes on pins. Our pen tool allows users to draw on any screen image and then share it through email, Facebook or Twitter – a great aid for both study and consultations! 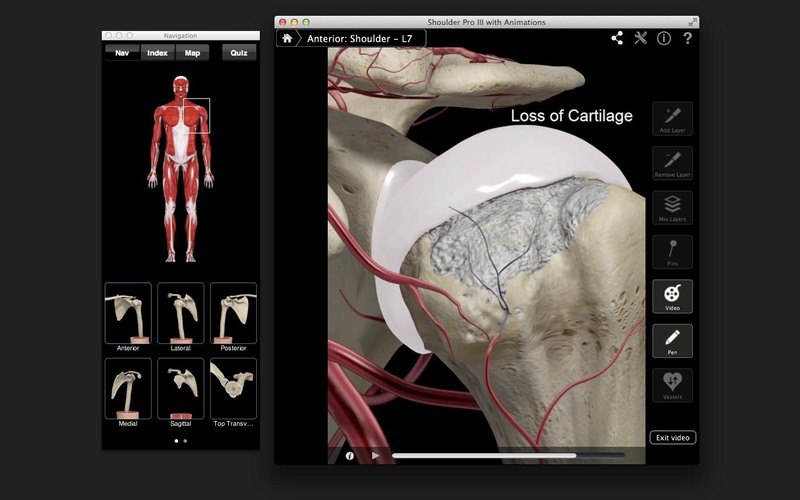 Choose between a multiple-choice quiz format or our new drag-and-drop quiz format.